Liam Kenny and Ger Broderick of Castlelyons Pipe Band. 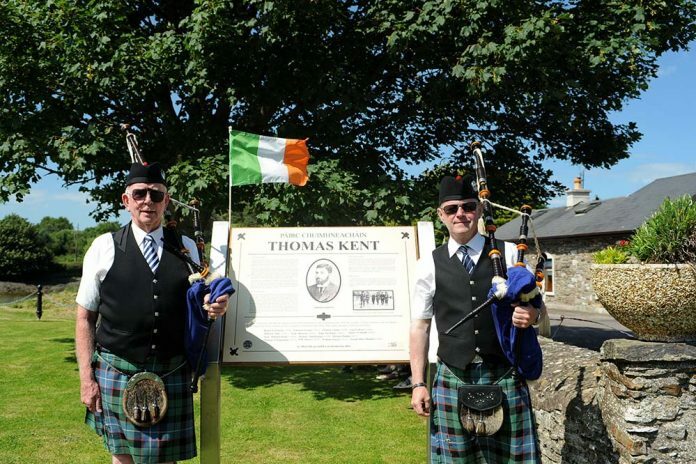 The second annual Thomas Kent Commemoration was very well attended in Rostellan this past Saturday, 17 June. The annual commemoration took place at Thomas Kent Park, which last year was named after the Irish nationalist who was executed in 1916, from 4pm with over 100 people in attendance. The commemoration also paid tribute to fellow Irish nationalists such as Denis Kelly, a member of the Irish Republican Brotherhood who fled to the US following the Fenian Rising, only to later return and become the founding president of Aghada GAA in 1885, and Dr. Padraic O’Suilleabhain, who served with the Irish Volunteers and became O/C of 8th Battalion in 1919 before he completed his studies and served the parish of Aghada as a general practitioner for the 50 years. Also recognised on the day were the 84 local Irish Volunteers from the parish of Aghada who formed L Company, 4th Battalion in the 1st Cork Brigade during the War of Independence, and the Flying Column of the same Battalion who were involved in the Clonmult Ambush in 1921, which saw the larges loss of life suffered by the Irish Republican Army during the war. 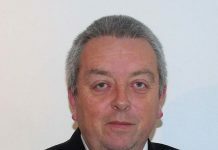 It is hoped that the Thomas Kent Commemoration will continue to take place year on year, after it first began a year ago.